This is the ongoing journal of my travels, photography, experience with people, places and equipment. "I always gain inspiration from you. You are real, no pretense. You present an alternative view to American culture." "It was very useful for me to see how a first class professional like you and other photography lovers do take street pictures. I have learned quite a new things. All this done in such a pleasant way. I feel much more comfortable now and I think that I should see for the future how to share my pictures with others." 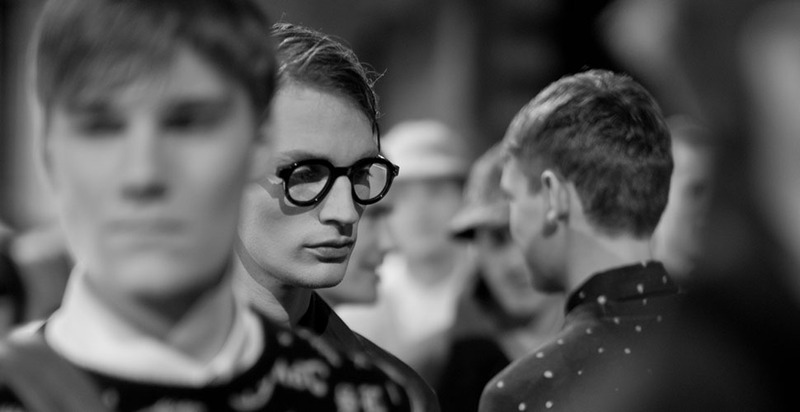 Fashion weeks are called AW (Autumn Winter) and SS (Spring Summer) because that is what they present. 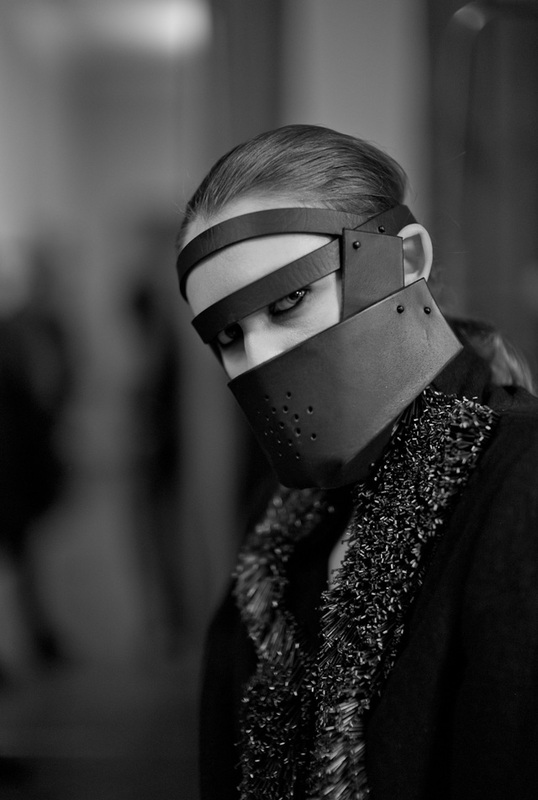 So when I covered the Copenhagen Fashion Week AW13 that is the fashion coming into the stores Autumn and Winter 2013. 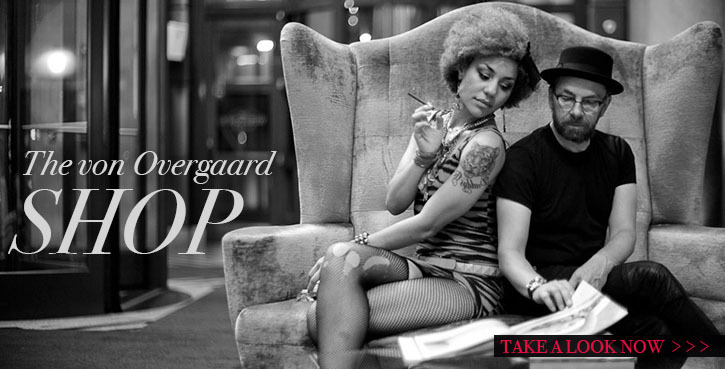 Joy Villa and Michael Holm of Kopenhagen Fur during Copenahgen Fashion Week. 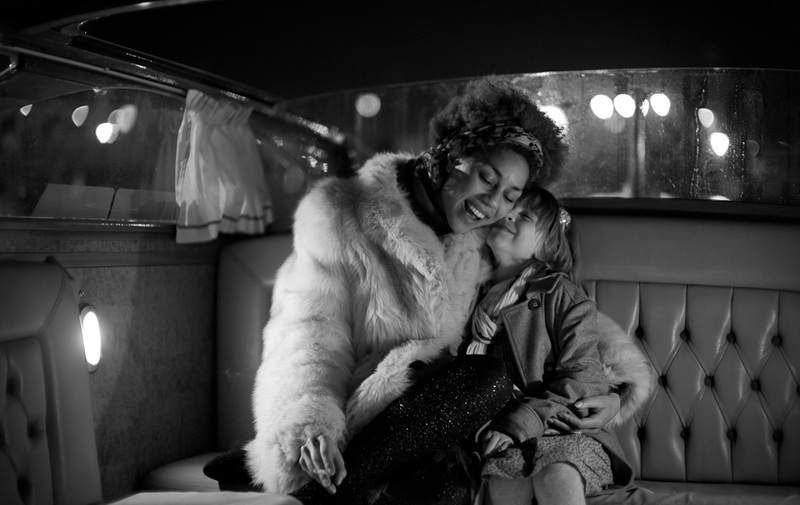 Joy Villa's first video from the Copenhagen Fashion Week, released on February 25, 2013. 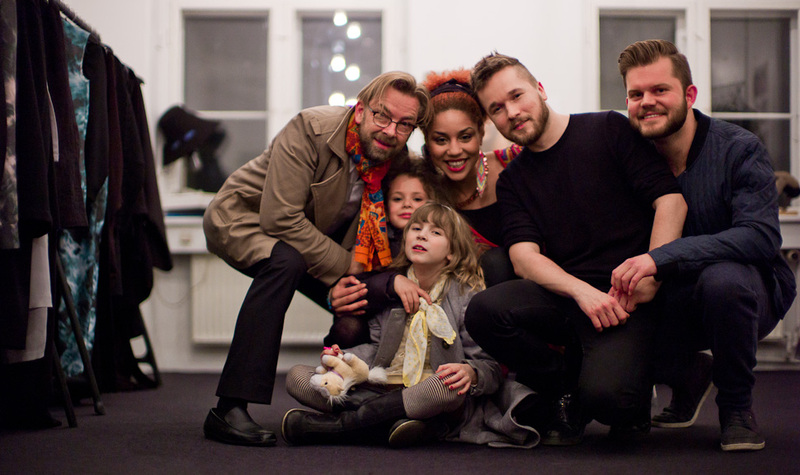 An interview with Michael Holm, lead designer at Copenhagen Fur who did the official opening show. Enjoy! "While I will never be able to attend one of your seminars, you constantly inspire me to photograph the art I "see". I was schooled in engineering and fine arts, began a photo studio (which continues to this day), teach art as an instructor, but constantly look for the "light" to photograph. Due to your influence I am at present using older Leica lenses. I can afford and love them. Thanks. Hope to meet you someday." When visiting the Leica Mothership in Solms, Germany in January, we spoke with a few of the key people and used the Leuca D-Lux 6 to do informal interviews. This is the first interview we release. Joy Villa and Dr. Andfreas Kaufmann talks about Andreas' first camera (and his first camera factory), the qualities of Leica and the new factory in Wetzlar. Enjoy! An informal interview Joy made 'on the go' as we visited Leica Camara AG and sat down with Kaufmann a few minutes before he had to go to another meeting. in the way that you can create things a little bit different. If you have the intention of becoming an artist – or are an artist – Leica helps you." Richard W did my Leica One Day workshop at Camera Electronics in Perth back in November 2012. It was some great days with almost 20 enthusiasts, hosted by the brothers Frank who have run Camera Electronics as a family business for two generations. Today I got an e-mail from Richard telling, "After the workshop, I finally decided to start a blog and put my photos on the blog and on flickr. Thanks again and it was great to meet you all." Photo by Richard W on his new blog he started after the workshop in Perth. "Many thanks Thorsten! I got a great deal out of your workshop, so thank you for sharing your experience and insight!" Those who have done my workshops know that it is important to share the results with others, somehow. Don't remain an unpublished author. Editing your photos and sharing the crown jewels of your work is an important - and some times difficult part - of photographing. So well done to Richard (and others who have started blogging and sharing after a workshop). 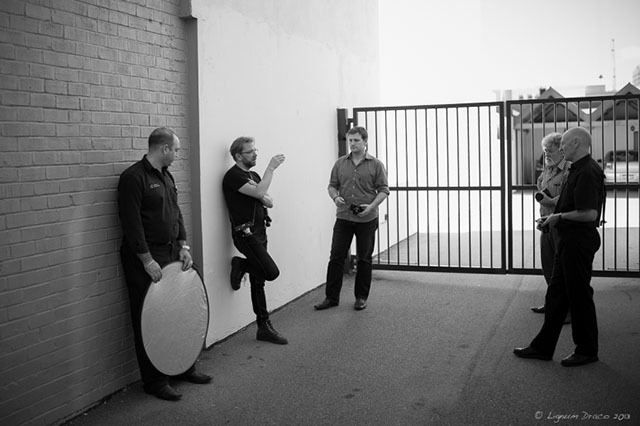 "Thank you very much for all your help during the Leica One Day and Three Day Seminar in Perth. I learnt a lot and am trying to apply what I have learnt. I very much enjoyed your latest writing on the Monochrom as well." Being in Denmark just a few days at a time means that I seldom get to do a lot here. So when I have more than a week, I try to get some of the things done that I can't do when traveling. Ironically most of those things demanding time has to do with living in Denmark. I usually joke that the only problems I have with traveling is the Danish telephone company and the Danish tax office. Because they always send letters demanding response in 14 days, and I am never home to do that. This time I have been working on my schedule for the rest of 2013. I'm trying to make my travel more effective in relation to workshops, assignments, my kids and where I want to go and what I would like to do. Currently the trick is to fit in some trips to Vietnam and Africa to do reportage, and also Joy Villa need to find three weeks soon to go to India to be in a Bollywood movie. "I have been using my camera a lot ever since your workshop an would probably get the leica M for my everyday use once it's out in March. Please let me know when you're here again next time. Thanks again." We arrived late on February 14, actually just after midnight. There was a strike in the airport in Hamburg so we were delayed five hours. But the tour in the water taxi the last bit of the way was worth all of it. The only way to get to the house in Venice is by foot, or by water. We preferred the water. 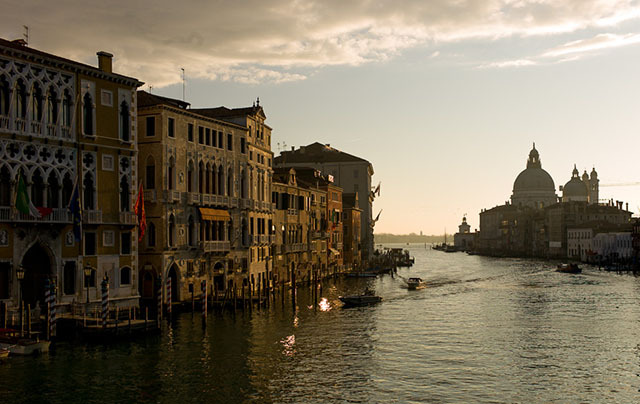 Student photo by Manfred Osthues from the Overgaard Advanced Workshop in Venice. Robin sporting her new Fendi jacket, as well as vintage sunglasses and a vintage 80ies Fendi bag we borrowed at a vintage store in Venice for a photo shoot. 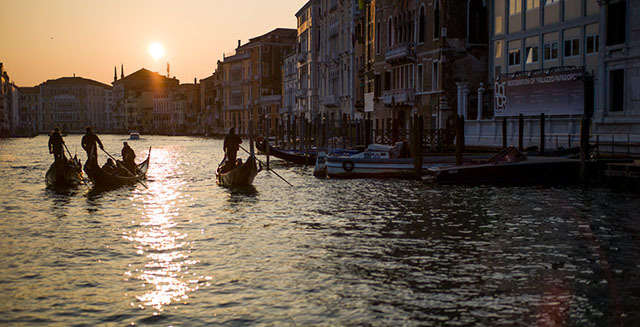 Student photo by Manfred Osthues from the Overgaard Advanced Workshop in Venice. When leaving Venice after a few days we had gotten wiser on how to navigate through a city without roads. So we siply booked a water taxi straight from the apartment to the airport. A 110 Euro trip, worth every penny. And this is Joy's short video made with the Leica D-Lux 6 showing it. Departing from a city on the water and seeing the city getting smaller and smaller ... that's the way to leave. Travel in style. Also, I am proud to have my youngest daughter with me at work and to show her the world. I get e-mails, you know, and some times the question is when you are a professional photographer, or how you may become one. It's subject that comes up a few times every month on mails, discussions, Facebook chats and such. An intersting response was from a person who had attended a professional workshop in New York and had told the others he would like to be a professiona photographer but didn't need the money. This created some silence for a while, and then he was told that he had to make money by photography in order to be a professional. I happen to disagree. In the old days you could be exclusive by belonging to a class or hierarchy (as you can see illustrated in the television series Downton Abbey), then i later years by having the papers for an education (as you can see illustrated in many photogaapher unions where they 'demand' that only photographers who have the proper education should be allowed to take photos). Today's society is even more free in that you can just be your self and be good. You don't have to ask anybody for permission, you can communicate freely with anybody and they can communicate with you. Of course the ones in a position will always fight it, and people always have done. In my opinion, a professional is one who can turn out a given result, and know that he or she can do so. If you are looking for a good dentist, you look for a good dentist. You don't look for how much money they make on being a dentist, and you don't study how many educations they did or how they did compared to other dentists attending that school. You look for one you can trust will perform dental work painless and at a fair price. As the girl in UK who told me she was considering doing a 5 year education to become acknowledged as a photographer. Why should she? Nobody ever hired a wedding photographer, a musician or a painter based on their education, but alone by their results. Education is good, and one should study ones cameras, the technique and in general be curious. But eduction shouldn't be used as a shield to keep others out. A true professional is one who study others work and notice the good parts, the things he can learn from to become better him self. Just today also Ming Thein celebrated his first year with 3 million visitors to his website. He is a phootographer out of Kuala Lumpur in Malaysia who specializes in photographing watches. But since a year ago also blogs and does workshops. I don't know what his education is, and I doubt his 3 million visitors care. They don't visit his website to read about his education, but to learn from what he has to say. "I want simplification, not amplification or complication. 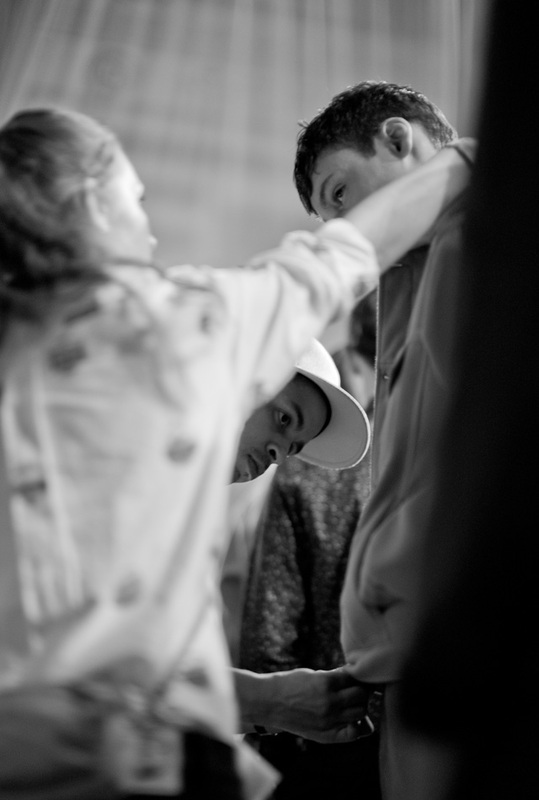 I just want light controls ... because photography is about light"
Above: Photo from backstage the Soulland fashion show at Copenhagen Fashion Week AW2013. © 2013 Thorsten Overgaard. Leica M Monochrom with Leica 50mm Noctilux-M ASPH f/0.95.